29 Commercial Real Estate & Properties in Slacks Creek are listed in 6 categories. We have 27 Industrial Warehouses Sale , 4 Retail ShopsSale , 3 Other Commercial PropertiesSale , 2 OfficesSale , 1 Development LandsSale and 1 ShowroomsSale . Ray White Commercial Northern Corridor Group is pleased to offer to the market for sale lease Unit 6 at 3375 Pacific Highway, Slacks Creek. The property is available as either vacant possession for sale or for lease or for sale to investors with a three year lease with three year option to Sullivans International an Australian manufacturer and wholesaler with over 100 staff and an over 30 year trading history. Investors can also acquire two neighbouring property also leased to Sullivans International at 8 9/3375 Pacific Highway, Slacks Creek Unit 7 at 3363 3365 Pacific Highway Slacks Creek in the Neighbouring site. The subject property is a highly functional warehouse with fitted out professional office in a prominent Slacks Creek location on the Pacific Highway. This property provides a fantastic opportunity for a business to purchase or lease the property and relocate into a highly function warehouse. 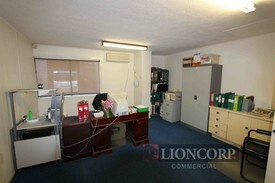 Property features include: bull; 539 m2 warehouse; bull; Quality office space over two levels including offices, lunchroom boardroom; bull; 539 m2 land area; bull; Container height roller doors; bull; 3 Phase Power; bull; Ample staff customer parking bull; Easy access to Pacific Highway M1 Corridor; bull; Owner will lease back on 3 year term with 3 year option or you can owner occupy; For more information or to arrange and inspection, please contact agent Peter Laurent. Ray White Commercial Northern Corridor Group is pleased to offer to the market for sale lease Unit 8 9 at 3375 Pacific Highway, Slacks Creek. 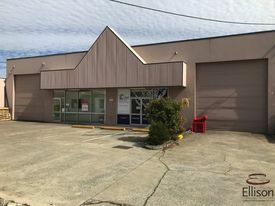 The property is available as either vacant possession for sale or for lease or for sale to investors with a three year lease with three year option to Sullivans International an Australian manufacturer and wholesaler with over 100 staff and an over 30 year trading history. Investors can also acquire two neighbouring property also leased to Sullivans International at 6/3375 Pacific Highway, Slacks Creek Unit 7 at 3363 3365 Pacific Highway Slacks Creek in the Neighbouring site. The subject property is a highly functional warehouse with fitted out office in a prominent Slacks Creek location on the Pacific Highway. This property provides a fantastic opportunity for a business to purchase or lease the property and relocate into a highly function warehouse. Property features include: bull; 601 m2 warehouse; bull; Currently 285m² additional mezzanine area; bull; 601 m2 land area; bull; 3 container height roller doors; bull; 3 Phase Power; bull; Ample staff customer parking bull; Easy access to Pacific Highway; bull; Owner will lease back on 3 year term with 3 year option or you can owner occupy; For more information or to arrange and inspection, please contact agent Peter Laurent. Ray White Commercial Northern Corridor Group is pleased to offer to the market for sale lease Unit 7 at 3363 3365 Pacific Highway, Slacks Creek. The property is available as either vacant possession for sale or for lease. Investors are also able to purchase the property with a three year lease with three year option to Sullivan's International an Australian manufacturer and wholesaler with over 100 staff and an over 30 year trading history. Investors can also acquire two neighbouring property also leased to Sullivan's International at 8 9/3375 Pacific Highway Slack Creek 6/3375 Pacific Highway, Slacks Creek. The subject property is a highly functional warehouse with fully fitted out office in a prominent Slacks Creek location on the Pacific Highway. This property provides a fantastic opportunity for a business to purchase or lease the property and relocate into a highly function warehouse. Property features include: bull; 782 m2 warehouse; bull; 171 m2 of current additional mezzanine area; bull; 60 m2 office; bull; 782 m2 land area; bull; Two undercover car parks additional car parking spaces bull; 3 container height roller doors; bull; 3 Phase Power; bull; Easy access to Pacific Highway; bull; Owner will lease back on 3 year term with 3 year option or you can owner occupy; For more information or to arrange and inspection, please contact agent Peter Laurent. 539 SQM total floor area Quality office space over 2 levels Tiled and air conditioned offices plus boardroom Additional mezzanine as bonus floor space Male & female amenities plus break room/ kitchen Dual access via container height roller doors Strategic location in Slacks Creek on the M1 corridor For more information please contact Brian Manne or Charlie Meallin. Approximate If Applicable. 3 260 SQM vacant land Suitable for residential premises with space for large shed ideal for tradies Suitable for office premises and light Industrial application subject to council approval Close to M1, University and Logan Hospital Rare opportunity to secure a property close to M1 For more information please contact Tony Morena. Approximate If Applicable. DISCLAIMER: Subject to the provisions of the Trade Practices Act 1974 and subject to any other non excludable statutory provisions. Ellison Specialised Properties Pty Ltd for themselves and for the Vendors of this property for whom they act give notice that: (i) all information given in relation to this property whether contained in this document or given orally, is given without responsibility; (ii) intending purchasers should satisfy themselves as to the truth or accuracy of all information given by their own inspections, searches, enquiries, advices or as is otherwise necessary; (iii) no person in the employment of Ellison Specialised Properties Pty Ltd has any authority to make or give any representation or warranty whether in relation to this property. 186m2 warehouse Approx. 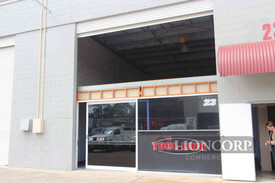 65m2 office/showroom Electric roller door 2 Mezzanine storage areas Kitchenette Very neat & tidy Slacks Creek is located in the Logan Centre Business Area, which comprises growing retail businesses, industrial and commercial offices. Slacks Creek is ideally placed from a logistics point of view, offering immediate access to major arterial roads to the North, South and West via the M1/Pacific Highway and Logan Motorway. The precinct is easily accessible via public transport, located within close proximity to both bus and rail linkages. Prime Retail Available in 'Market Town" Approx. 55m2 retail/office space Fully Air Conditioned Ample on site parking Direct access to Kingston Road and across from Major Shopping Complex Walking distance to Railway and Bus Stations. Inspecting today with Exclusive Marketing Agent! Slacks Creek is located in the Logan Centre Business Area, which comprises growing retail businesses, industrial and commercial offices. Slacks Creek is ideally placed from a logistics point of view, offering immediate access to major arterial roads to the North, South and West via the M1/Pacific Highway and Logan Motorway. The precinct is easily accessible via public transport, located within close proximity to both bus and rail linkages. 601 SQM of warehouse space Additional mezzanine area as bonus 3 front roller doors plus 2 rear ventilation doors Excellent truck access & room for container drop & unloading Easy access off the Pacific Motorway service road Excellent location in the heart of Slacks Creek Owners willing to offer lease back on a 7.55 % yield For more information please contact Brian Manne or Charlie Manne. Approximate If Applicable. 413 m2 warehouse Ample on site parking 2 Container height roller doors Located in the heart of Slacks Creek industrial area Ideal for bulky goods storage Minutes to M1 Location Slacks Creek is located in the Logan Centre Business Area, which comprises growing retail businesses, industrial and commercial offices. Slacks Creek is ideally placed from a logistics point of view, offering immediate access to major arterial roads to the North, South and West via the M1/Pacific Highway and Logan Motorway. The precinct is easily accessible via public transport, located within close proximity to both bus and rail linkages. 782m2 of warehouse and 60m2 of office which consists of reception area & 2 offices 3 Container height roller doors Male & female toilet Small kitchenette Each section has its own roller door and entrance giving the possibility of splitting, so you can owner occupy a section, and lease the rest Ample on site parking Minutes to M1 Slacks Creek is located in the Logan Centre Business Area, which comprises growing retail businesses, industrial and commercial offices. Slacks Creek is ideally placed from a logistics point of view, offering immediate access to major arterial roads to the North, South and West via the M1/Pacific Highway and Logan Motorway. The precinct is easily accessible via public transport, located within close proximity to both bus and rail linkages. Warehouse of approx. 601m2 available for sale Multiple roller doors 3 phase power available Include 2 toilets, kitchenette Ample onsite parking Mezzanine totalling 285m2 Convenient location, only minutes to Pacific Motorway Owner has asked to present all offers Contact Marketing agent today to inspect! Slacks Creek is located in the Logan Centre Business Area, which comprises growing retail businesses, industrial and commercial offices. Slacks Creek is ideally placed from a logistics point of view, offering immediate access to major arterial roads to the North, South and West via the M1/Pacific Highway and Logan Motorway. The precinct is easily accessible via public transport, located within close proximity to both bus and rail linkages. Approx. 356m2 clearspan warehouse Container height roller door Including 2 toilets Ample onsite parking Leased to December 2019 with 3 + 3 year option Existing tenant also leases Unit 2 next door and uses this property as a Cheerleading practice area Well presented warehouse, great investment option Call Lioncorp Commercial today to inspect Slacks Creek is located in the Logan Centre Business Area, which comprises growing retail businesses, industrial and commercial offices. Slacks Creek is ideally placed from a logistics point of view, offering immediate access to major arterial roads to the North, South and West via the M1/Pacific Highway and Logan Motorway. The precinct is easily accessible via public transport, located within close proximity to both bus and rail linkages. Approx 515m2 of clear span warehouse Approx 20m2 of air conditioned office area Reception area Including 2 toilets Ample onsite parking Current tenant is a Cheerleading Company and have added a cafe/canteen & viewing area Leased to December 2019 with 3 + 3 year option Contact marketing agent to inspect today! Slacks Creek is located in the Logan Centre Business Area, which comprises growing retail businesses, industrial and commercial offices. Slacks Creek is ideally placed from a logistics point of view, offering immediate access to major arterial roads to the North, South and West via the M1/Pacific Highway and Logan Motorway. The precinct is easily accessible via public transport, located within close proximity to both bus and rail linkages. Fully air conditioned over two levels 70m2 warehouse, 70m2 showroom plus 144m2 of first floor office space Great street exposure with the ability for signage to be displayed on the building 4 dedicated carparks Easy access to the M1 North and Southbound approximate area To arrange your inspection contact us today! Multi Tenated Land Holding In Sort After Slacks Creek Contact Jaems Balfour for..
Development Approval for showrooms and storage sheds (3 retail showrooms totalling 6367m2, 6 upper floors of office, 1598m2 plus 82 storage units) Could be Open Air display/salesyard Easy access from Motorway Inbetween Hyperdome and Ikea Highway frontage 98 metres Contact Bruce Webster 0408 551 858 for an inspection or further details Located approx 20 kilometres south east of the Brisbane CBD in the Brisbane Gold Coast corridor. This area boasts a mix of commercial, industrial and retail properties. The area has strong surrounding population growth and mixed demographic of its workforce. The area is well serviced by the Pacific Motorway, which provides links to both the north and south of the area with the Logan Motorway and Gateway Motorway. The Slacks Creek Business Area consists of the renowned Moss Street precinct. The area extends to the Logan/Brisbane city boarder on Logan Road and along the Pacific Highway as far south as Paradise Road. The precinct includes retail, service and light industrial businesses. The Slacks Creek business precinct spans the Pacific Highway. For some businesses the highway road frontage provides optimal exposure to highway and interstate traffic. Description: Parking at front door Just off M1 Good access to roller door Very clean units 3 units 2 are leased Front access to each unit Additional features: 3 roller doors, concrete construction, 3 phase power, M/F amenities, clear span Area: Office: 40m² Warehouse: 500m² Total: 540m² Land area: 1,011m2 Location: Located approx 20 kilometres south east of the Brisbane CBD in the Brisbane Gold Coast corridor, this area boasts a mix of commercial, industrial and retail properties. The area has strong surrounding population growth and mixed demographic of its workforce. The area is well serviced by the Pacific Motorway, which provides links to both the north and south of the area with the Logan Motorway and Gateway Motorway. The Slacks Creek Business Area consists of the renowned Moss Street precinct. The area extends to the Logan/Brisbane city boarder on Logan Road and along the Pacific Highway as far south as Paradise Road. The precinct includes retail, service and light industrial businesses. The Slacks Creek business precinct spans the Pacific Highway. For some businesses the highway road frontage provides optimal exposure to highway and interstate traffic. Description: Ground floor office/ showroom Parking at front door Easy access to M1 Area: Office: 100m² Warehouse: 75m² Total: 175m² Location: Located approx 20 kilometres south east of the Brisbane CBD in the Brisbane Gold Coast corridor, this area boasts a mix of commercial, industrial and retail properties. The area has strong surrounding population growth and mixed demographic of its workforce. The area is well serviced by the Pacific Motorway, which provides links to both the north and south of the area with the Logan Motorway and Gateway Motorway. The Slacks Creek Business Area consists of the renowned Moss Street precinct. The area extends to the Logan/Brisbane city boarder on Logan Road and along the Pacific Highway as far south as Paradise Road. The precinct includes retail, service and light industrial businesses. The Slacks Creek business precinct spans the Pacific Highway. For some businesses the highway road frontage provides optimal exposure to highway and interstate traffic. Description: Leased until 2016 + 6 x 3 year options Good access to M1 Loading dock Showroom frontage Front and side parking Quality Tenant Contact Lance Hartley for futher details or an inspection 0408 155 607 Location: Located approx 20 kilometres south east of the Brisbane CBD in the Brisbane Gold Coast corridor, this area boasts a mix of commercial, industrial and retail properties. The area has strong surrounding population growth and mixed demographic of its workforce. The area is well serviced by the Pacific Motorway, which provides links to both the north and south of the area with the Logan Motorway and Gateway Motorway. The Slacks Creek Business Area consists of the renowned Moss Street precinct. The area extends to the Logan/Brisbane city boarder on Logan Road and along the Pacific Highway as far south as Paradise Road. The precinct includes retail, service and light industrial businesses. The Slacks Creek business precinct spans the Pacific Highway. For some businesses the highway road frontage provides optimal exposure to highway and interstate traffic. DA approved to build a 267 M2 (approx.) restaurant and 5 other shops (approx. 688M2) 47 car spaces The potential of this location is unlimited, with many building activities in the area Develop now or land bank for the future, how much will it be worth in 10 yrs ? With this hard to find high exposure site let your imagination run wild, sky is the limit. 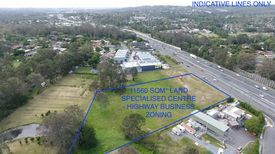 Busy road Kingston Road with heaps of traffic Next to Petrol station CALTEX 18 mins to Brisbane city, 48 mins to Gold coast and 12 mins to Sunnybank Great investment opportunity.!! !